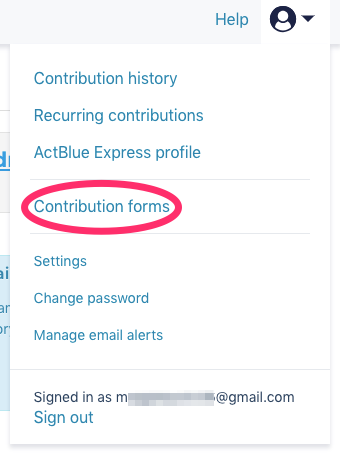 How can I keep track of my contribution forms? You can track all your contribution forms by logging in to your account and clicking on the My Fundraising tab. Here you can create a new contribution form, view any forms you’ve created, see how much each of your forms has raised, or delete or duplicate any of your existing forms. If you need help creating a contribution form, check out our easy steps here. How can I fundraise for my favorite candidate or organization? How do I view my contribution history?